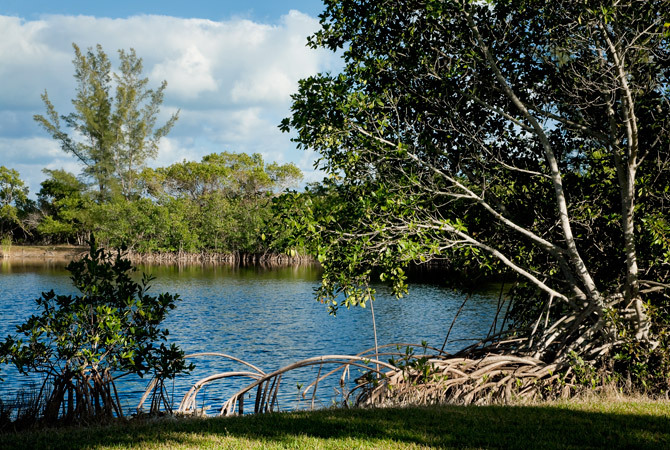 In 1930, industrial chemical entrepreneur William J. Matheson donated 85 acres of beachfront property to Dade County for a park, which the county quickly expanded to more than 600 acres, much of it mangrove and hardwood forest. 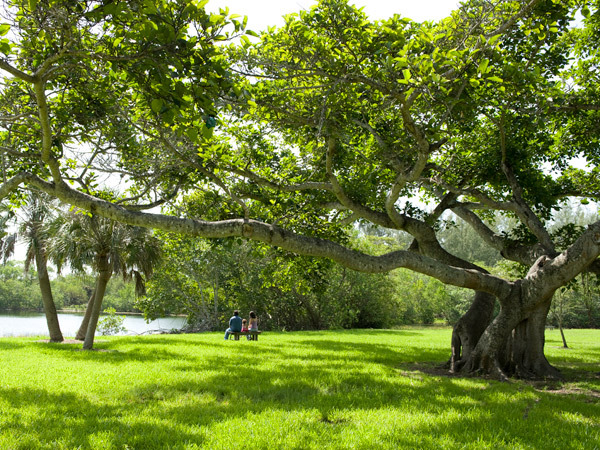 In 1936, William Lyman Phillips was hired to design the park. Working with the Civilian Conservation Corps, Phillips produced a plan that provided public amenities - including beaches, picnic areas, and boating facilities - while simultaneously protecting the land's significant natural resources, particularly the extensive undeveloped forests. 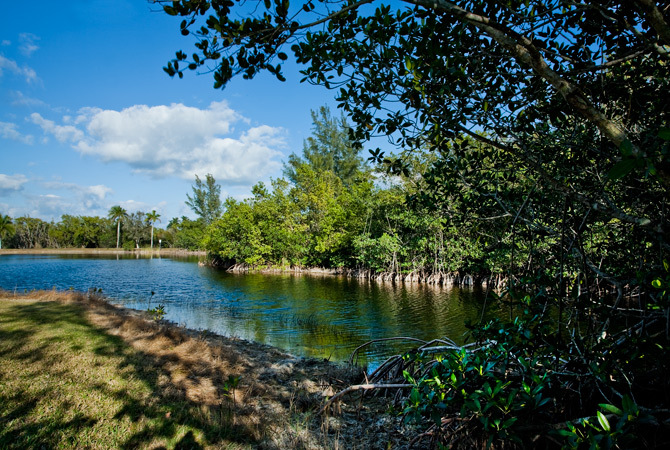 Phillips designed the entrance road on the park's northern edge to unify the experience of passing from a homogeneous swamp, through dense mangrove forest, and into the open cove of Biscayne Bay. 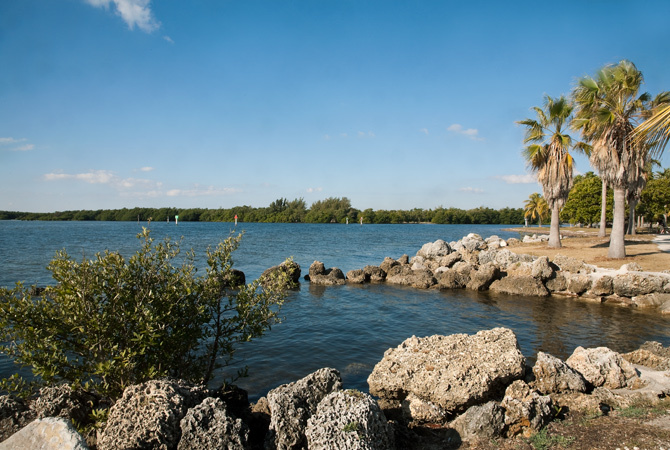 A large marina provides boat access on the north end of the park, while the southern end features a sandy beach punctuated by royal palms. 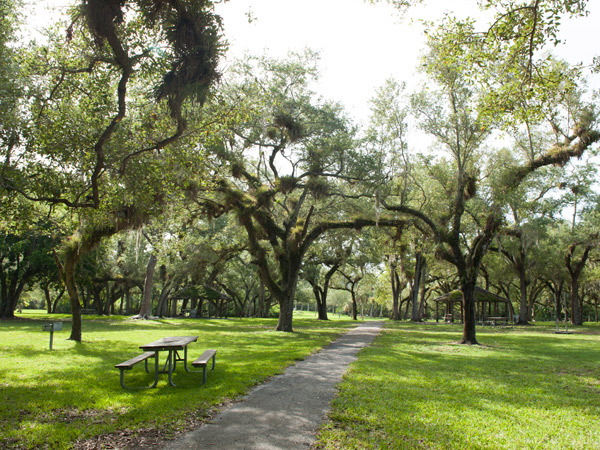 Lyman’s crews constructed miles of coral stone walls to link the park's diverse ecologies and erected limestone picnic shelters in open lawn expanses, in oak groves, and along the shorelines of small lakes found in the western part of the park. 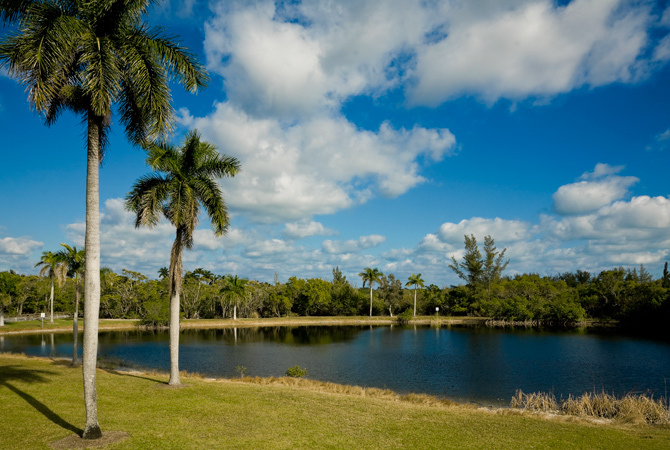 Through extensive dredging Phillips created a saltwater atoll pool projecting into the bay to provide a protected swimming area surrounded by limestone, coral, and sandy beaches. The pool, fed by the bay's changing tides, is enclosed by a wide curving walkway lined with palms that offers sweeping views of the bay and Key Biscayne.